At Direct2florist, we take customer service seriously. When sending flowers, we believe you should receive industry-leading levels of quality, reliability and value for money, every time. 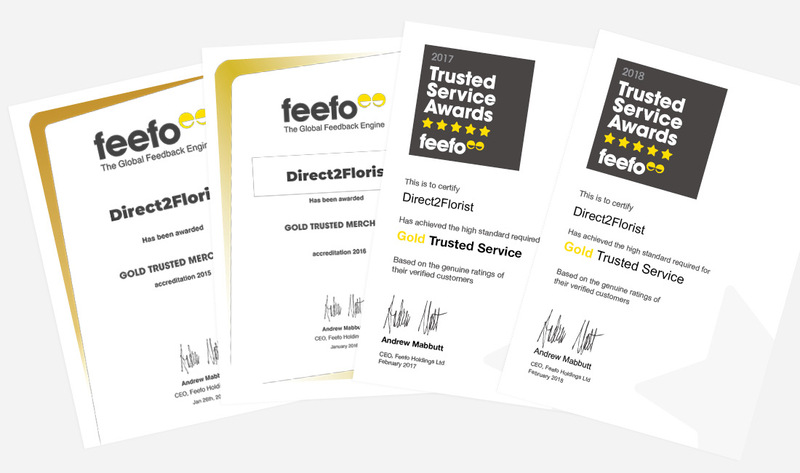 That’s why we’re delighted to have been awarded the Feefo Gold Trusted Service Award for the 5th year in a row! This prestigious award recognises those businesses that go above and beyond – and because Feefo only collects reviews from verified customers, you can trust that all the reviews are 100% genuine, from customers just like you! To date we’ve received over 48,000 Feefo reviews from around the world. Feefo’s Gold Trusted Service award requires a service rating of at least 4.5 – and only recognises the businesses that deliver exceptional experiences, as rated by real customers. 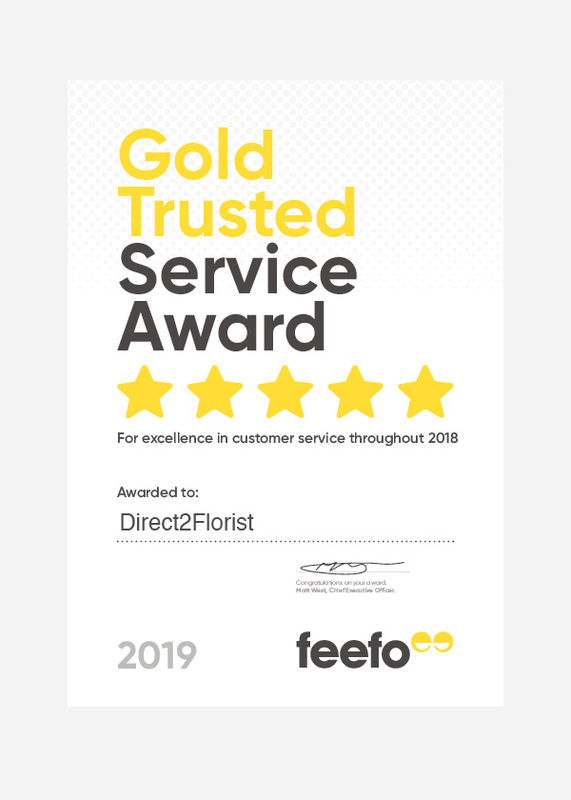 Having won this award for the first time in 2015, we’ve been working extra hard to maintain the high standards we demand of ourselves, and make sure everybody who’s a part of the Direct2florist network is delivering the best service possible. Don’t just take our word for it! You can read all our customer reviews here. You can also read more about the awards on the Feefo Trusted Service website.